What does 4/4, 5/4, 6/4, 8/4 mean? 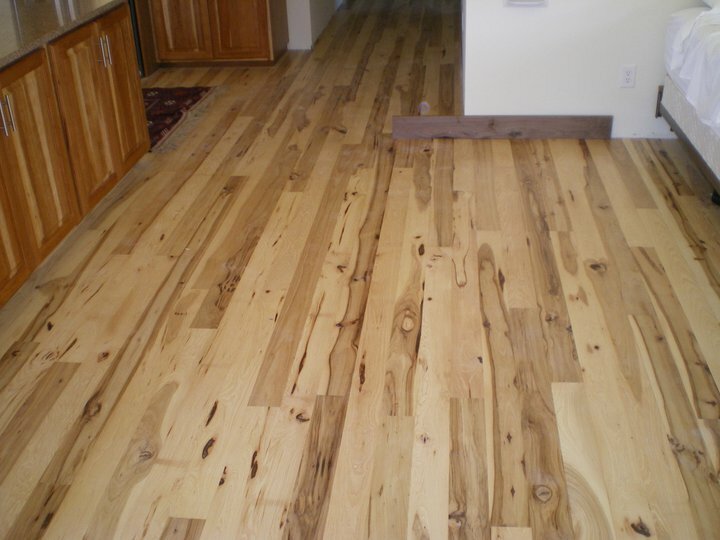 Hardwood lumber is sold in ¼ increments for the thickness. So 4/4 is 1 thick, 5/4 is 1 ¼ thick, 6/4 is 1 ½ thick and so on. Do you sell just Hickory and Oak? No, despite the name we sell all woods that grow in our area. These include Ash, Oak, Maple, Cherry, Walnut, Poplar, Hickory, Sassafras, Elm, Sycamore and others. Basically its a unit of volume equal to 12x12x1. You can think of it as square footage multiplied times the thickness. Example: A table top 48x10x 1.5 thick is 60bf. What are good outdoor woods? White Oak, Black Locust, Honey Locust, Osage, Sassafras and Catalpa are all very good and they all grow in this area. Cypress and Cedar are also very weather resistant but they dont grow in southern Michigan. Yes, sometimes, maybe. It just depends on what we currently need and what you have. 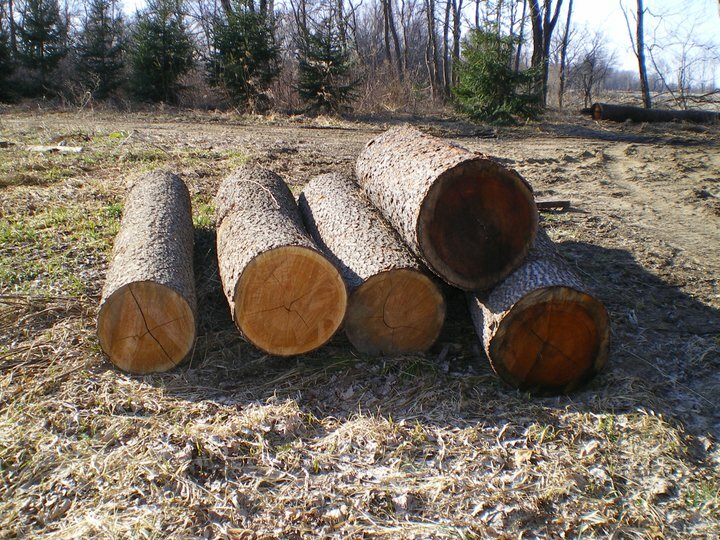 Typically, we are always looking for Walnut and large diameter logs. Do you pick up logs? Occasionally if they are close by. This depends on current schedule. Do you harvest trees or buy standing timber? We do not log woods but on occasion we will buy a few standing trees. Do you offer portable sawmilling services? No, you must bring the logs here or have us pick them up. We make butcher block table tops and counter tops, stair treads, and flooring. We also make table tops in plank style or butcher block. 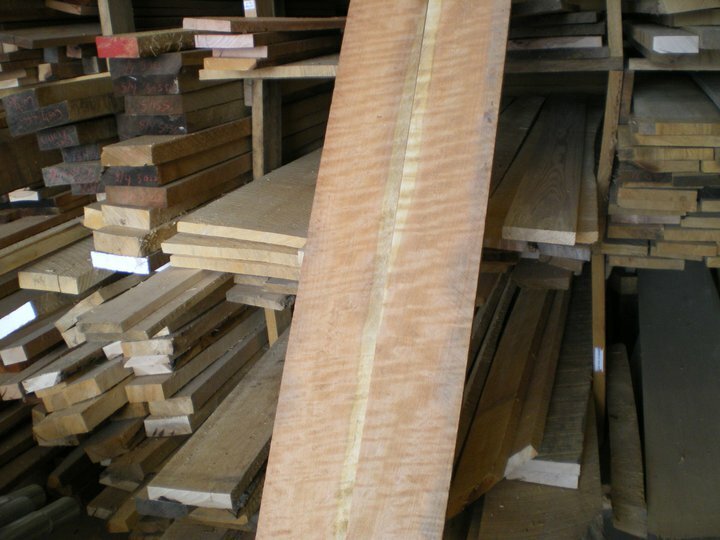 We offer custom sawmilling, kiln drying, large glue ups, wide panel sanding, planning, straight line ripping, live-edge slab surfacing and custom slab sawing.